Evolution in the display technology has taken a huge turn in the past few years, and things keep on getting better and cheaper every year. A few years ago, the Korean tech giant LG introduced the world first 3D UHD TV using the 4K system, and now almost all manufacturers have followed the bandwagon. We even have 4K monitors that have taken computer resolution to a whole new level. But what exactly is 4K? Used correctly, 4K describes the 4096 X 2160 resolution first introduced in theaters. That resolution has been standardized to 3,840 X 2160 which is also known as Ultra HD and targets consumer electronics. Recall that your laptop or HDTV has a native resolution of 1920 X 1080 pixels. 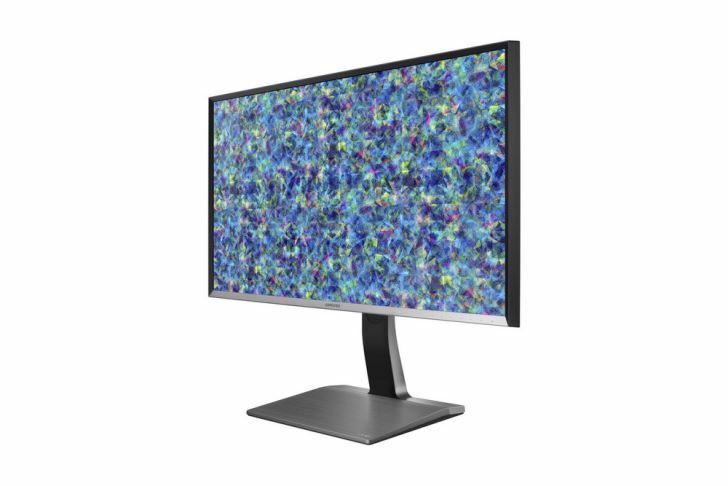 This makes 4K monitors 4 times brighter and more colorful that what you are used to seeing. The digital arena has also been marked by other high-end monitor display technologies that are here to further refine the 4K resolution. We now have 4K IPS monitors and OLED (Organic Light Emitting Diodes) monitors. After defining a new era in TV technology, OLED displays have finally transcended to computer monitors. 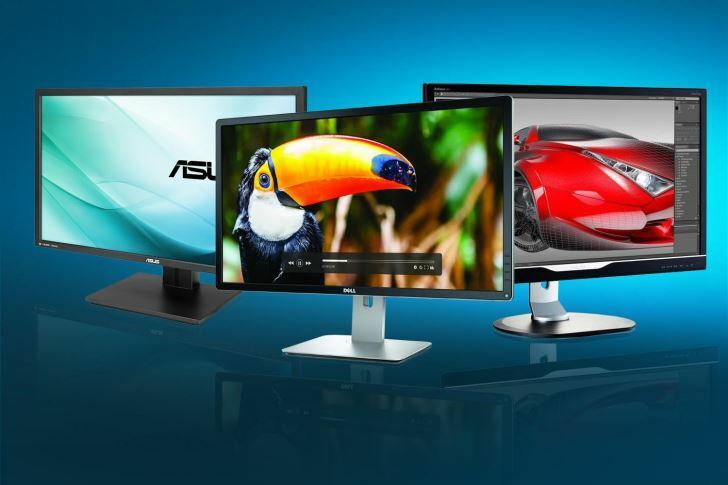 In this article, we will discuss the best 4K monitors for Windows 10. 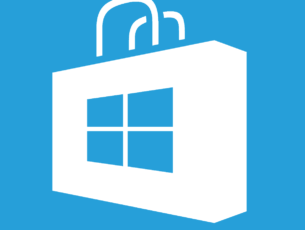 (The prices are as at the time of writing this article and are subject to change). 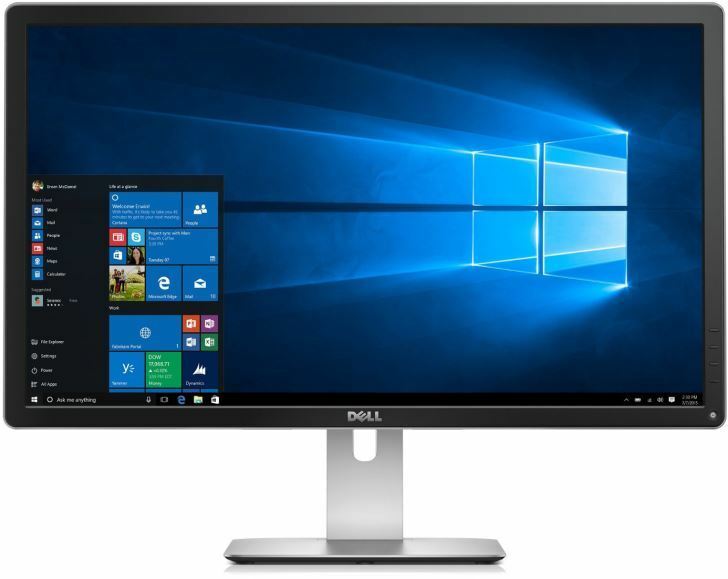 The Dell P2715Q packs every top feature you’d expect to find in a premium 4K monitor. 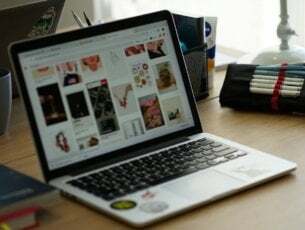 As a 27-inch IPS monitor with a 3840 x 2160 resolution, it produces fantastic images for 4K movies, gaming, YouTube videos and a lot of desktop space for office work. With 99% RGB color average, expect the colors to pop with high clarity. On the hardware side, the Dell P2715Q is elegantly designed with a terrific ergonomic stand. The monitor is also VESA compatible so you can easily mount it or use it with a monitor arm. It comes with 4 USB 3.0, HDMI, DisplayPort, Mini Display Port, DisplayPort Output, and Audio line-out. If elegance is one of your major considerations, then you should check out the Acer S277HK 4K monitor. It comes with an unusual design that makes it look like a sophisticated piece of technology for use in a space ship. Aesthetics are not the only reason why the Acer S277HK steals the spotlight, the colors are the kind you have to see to believe. Sharpness and brightness are the forte of this monitor. The excellent color accuracy and gamma means the monitor can handle a wider color gamut accurately. However, it’s not perfect. Video inputs include HDMI 2.0, DVI, DisplayPort, mini-DispalyPort, 3.5 mm audio jack. It has no USB ports and also not VESA compatible. If you do a lot of gaming and like watching movies, then you might want to check out the Samsung UHD monitor UE590. The monitor’s specs are thoroughly suited for entertainment and gaming needs. It has a contrast ratio of 1000:1, a tilt of -2 to 200, and response time of between 1-4 ms. The lightning fast 1ms response rate lets you enjoy smooth images even during fast-moving scenes. The monitor is available in two versions: the 24 inches U24E590D and the 28 inches U28E590D. You can connect multiple UHD devices like gaming consoles. There is a DisplayPort at the back and 2 HDMI 2.0 ports so it can handle 4K signal from compatible sources at 60Hz refresh rate. Samsung never compromises when it comes to display technology and the company’s U32D970Q 4K beast is one of their best displays ever. The Samsung U32D970Q is not one of the cheapest monitors out there, but with cost comes performance. This monitor is a high performer that blows the competition out of the water. The colors sparkle like never before and the blacks are so deep to the point of tempting to take the battle to the OLED. It also comes with a feature called ‘Natural Color Expert’, a calibrator that uses software to achieve optimal results. The monitor can render 99% of sRGB and over 95% of AdobeRGB. 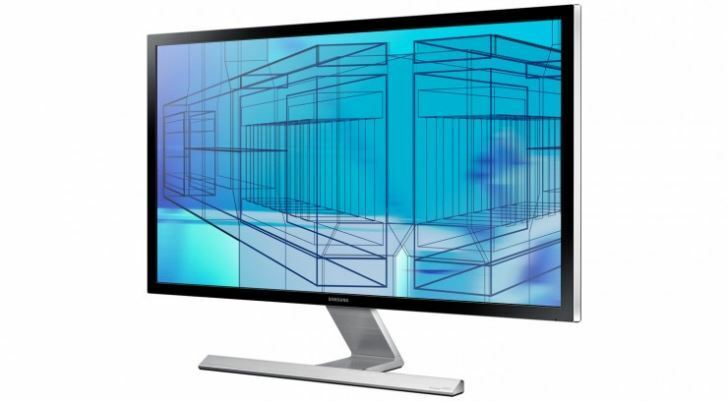 Experts have seen the Samsung U32D970Q produce more accurate colors than any other 4K monitor. This monitor does not fall short in connectivity options. It features some of the most advanced connectivity among 4K monitors. You will find inputs for dual-link DVI, four USB ports, two DisplayPorts and one HDMI port. All the ports are located on the rear panel. Coming in black (27UD68-P) and white (UHD 27 UD68-W) models, this UHD monitor is stylish, yet offers stunning 4K videos in a nearly bezel-free display. 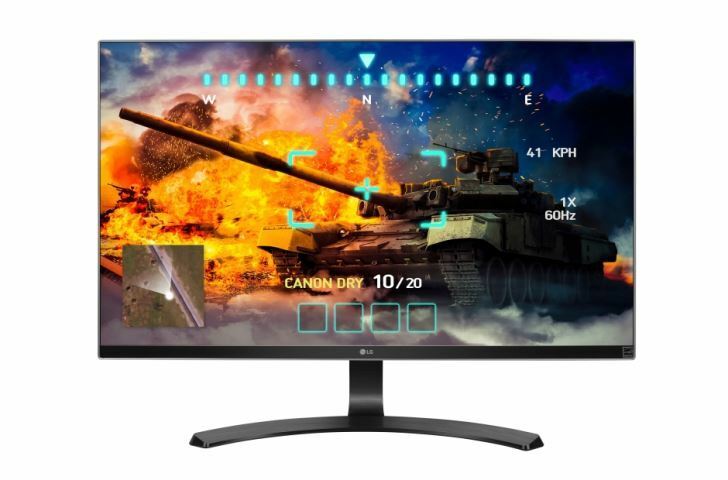 With 99% coverage of the sRGB color spectrum, this LG monitor is great for graphic designers, professional photographers, and anyone with a taste for dazzling colors. The on-screen control allows you to access all the essential monitor settings such as brightness, volume, screen split and more all in a single click. 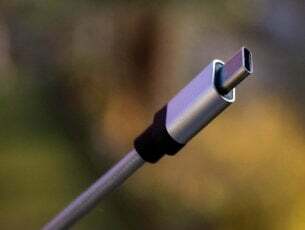 Connectivity includes two HDMI 2.0 for handling 4K signals and display ports. 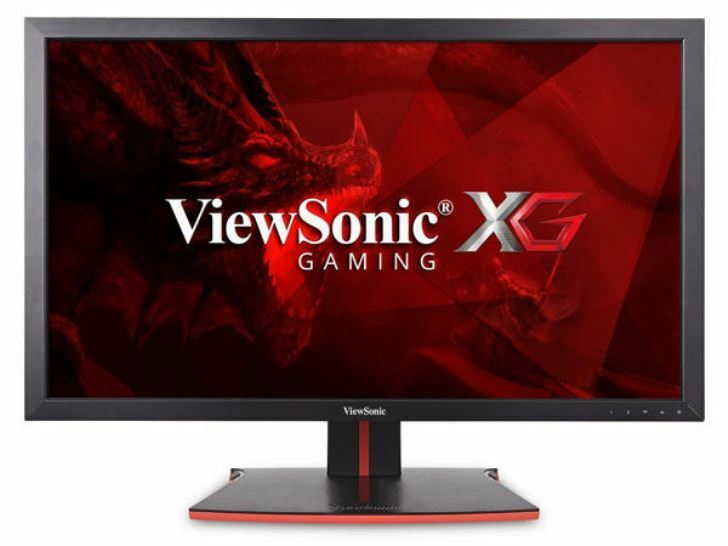 The ViewSononic XG2700 is one of the best 4K monitors around and comes with a native resolution of 3840 x 2160. This 27-inches IPS monitor handles everything that you throw at it very well. It supports AMD’s FreeSync for smooth gaming between 40 and 60 frames per second if used with a powerful graphic card. And unlike some of the top 4K monitors, the ViewSonic XG2700 can run at 60HZ over HDMI if your computer supports HDMI 2.0. Though design is not its stronghold, the monitor performs on par with other high-end 4K monitors in the market today. This monitor comes with five USB 3.0 ports, a DVI port, HDMI ports, DisplayPort, and mini-DisplayPort. It also comes with built-in sensors that activate the power saving mode once the user moves away from the monitor. 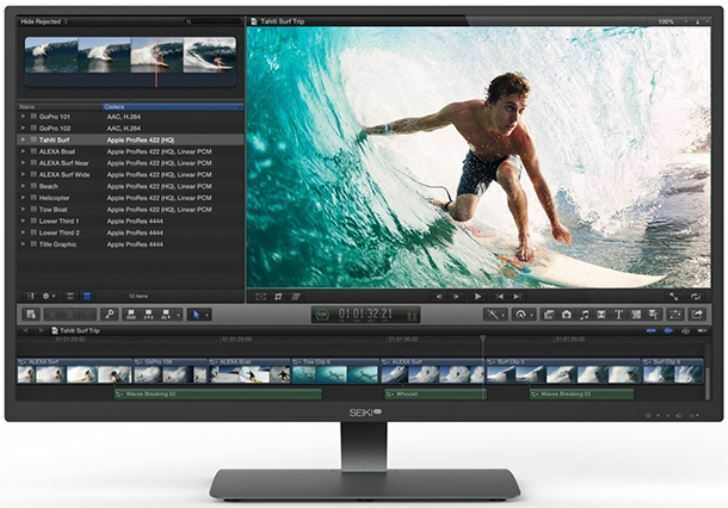 Seiki Pro SM40UNP is one of the largest 4K monitors you can buy that is designed to function as a monitor and not a TV, although it can function as both. It’s a high-end 6oHz panel with a native resolution of 3840 X 2160 that comes with a two DisplayPorts, a VGA port, two HDMI ports, a USB 3.0 port, and a DVI-D port that you can use to scale down. Though the panel is not an IPS display, the colors are very good looking and natural. The contrast is also very high that result in deep blacks and vibrant colors. The swivel is VESA compatible and height adjustable. However, it doesn’t come calibrated so you have to do it yourself manually. Given all the buzz making the rounds about 4K and Ultra HD displays, you may probably have heard a thing or two about this technology. You got to believe the hype because this technology is awesome, suffice it to say that 4K is the future of displays. Some of the renowned streaming services like Vudu, Amazon Instant Video, YouTube, and Netflix have already begun streaming 4K content. And since 4K TV’s are a bit expensive, you can enjoy the dazzling images on a good and cheaper 4K monitor. The list above is by no means exhaustive, but it highlights the trailblazers in 4K display monitors.